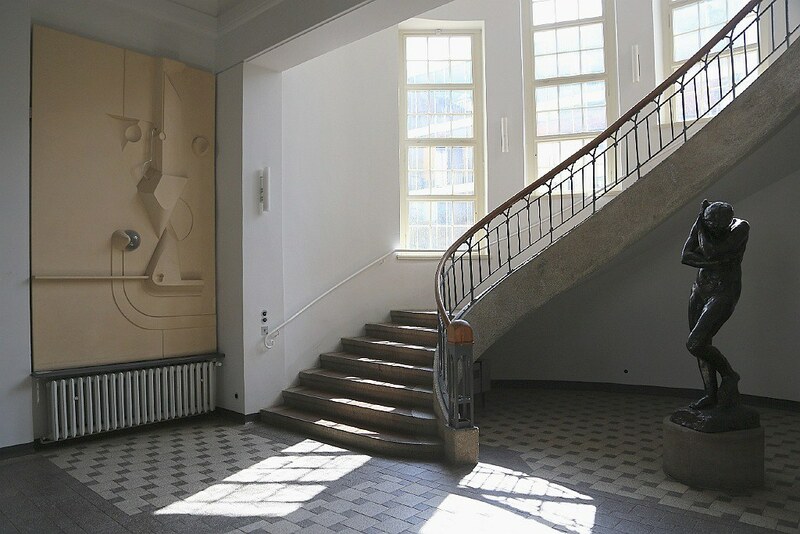 Central elliptical staircase with Auguste Rodin statue “Eva”: Uni-Hauptgebäude (University main building). 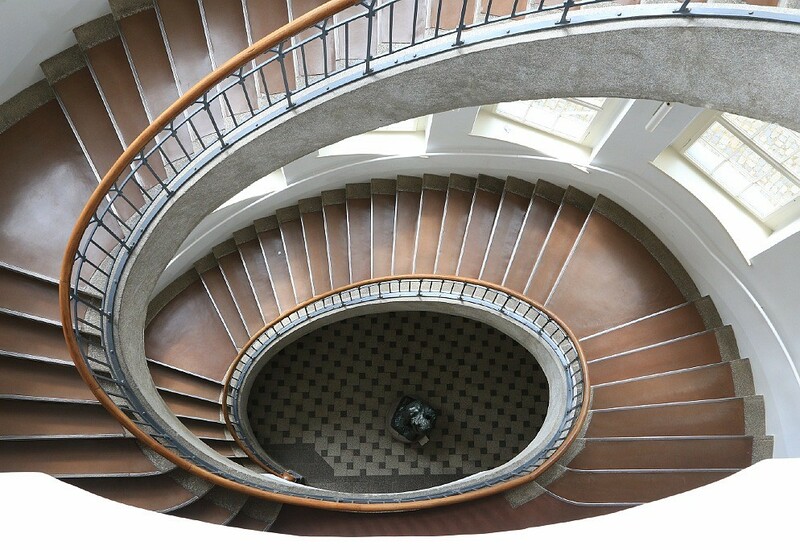 Central elliptical staircase with Rodin’s “Eva” on the ground floor: Uni-Hauptgebäude. “Dreieck” (Triangle), by Herbert Bayer. Side stairwell, Uni-Hauptgebäude. “Quadrat” (Square), by Herbert Bayer. Side stairwell, Uni-Hauptgebäude. “Kreis” (Circle), by Herbert Bayer. Side stairwell, Uni-Hauptgebäude. 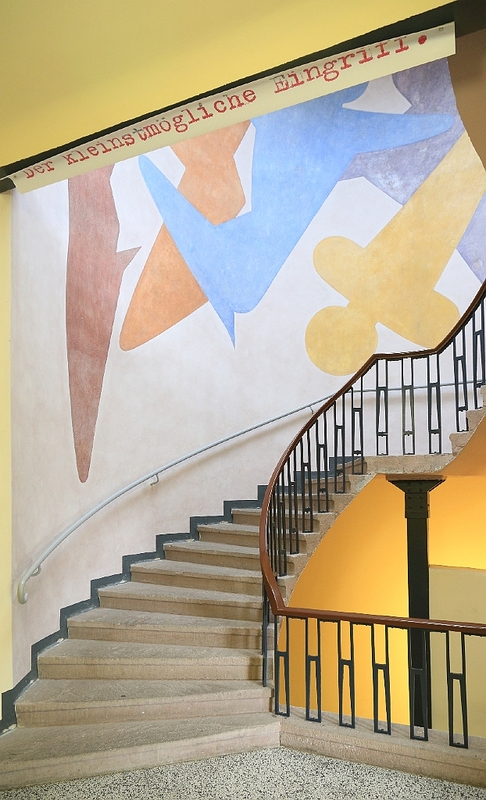 Piece by Oskar Schlemmer: front entrance, Van-de-Velde building. “Der kleinstmögliche Eingriff” (The smallest possible intervention), on the ground floor stairwell of the Van-de-Velde building. 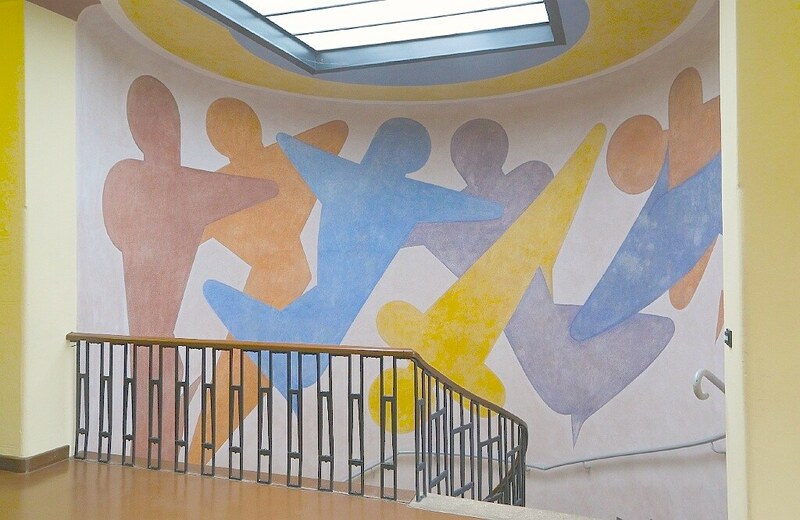 Reconstructed frieze of figures by Oskar Schlemmer: upper floor stairwell, Van-de-Velde building. 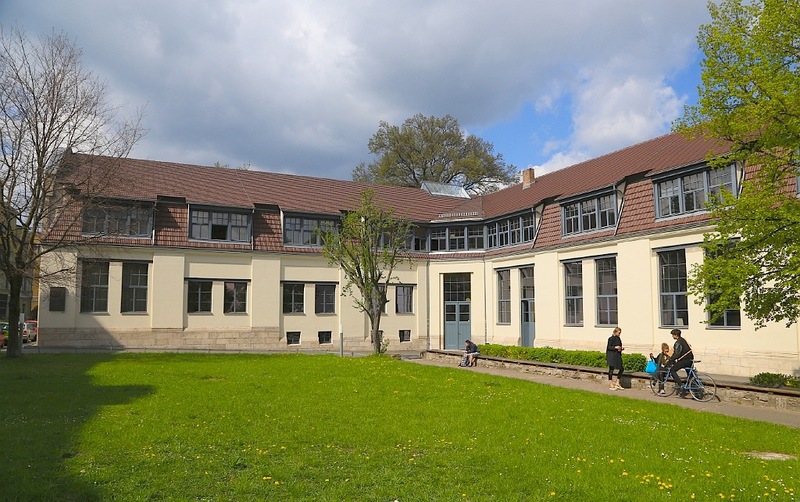 Faculty of Design, Bauhaus University, Van-de-Velde Building, south wing. “Lehrstuhl – leerer Stuhl”, by Hermann Bigelmayr (2005). 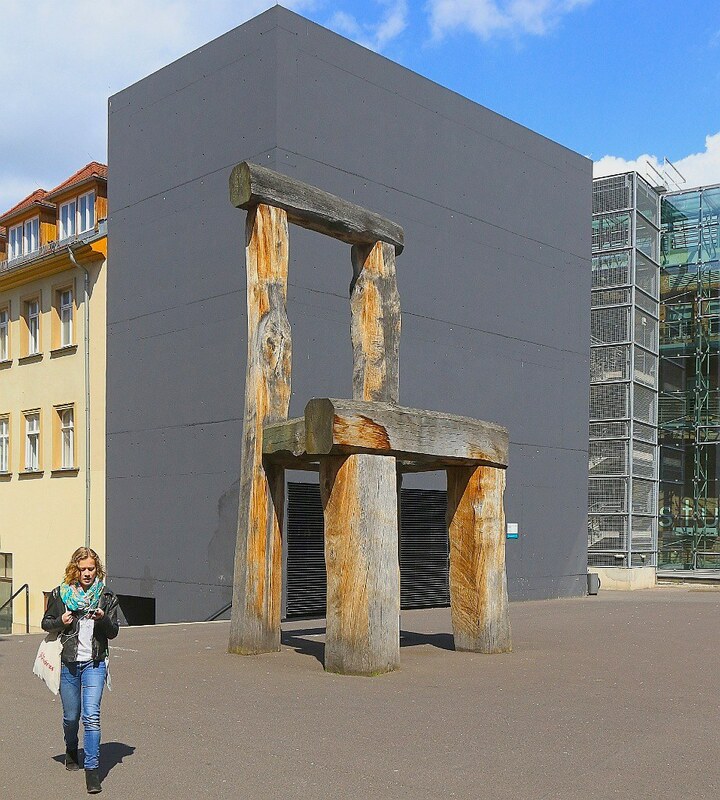 The sculpture’s title is a pun: for an academic ‘chair’ or posting representing the university’s teaching goals; and for an empty seat in the lecture hall, waiting to be occupied. The sculpture stands across from the university library. Click on the arrow-window icon at the upper-left corner in the map below for an explanation of the map symbols. 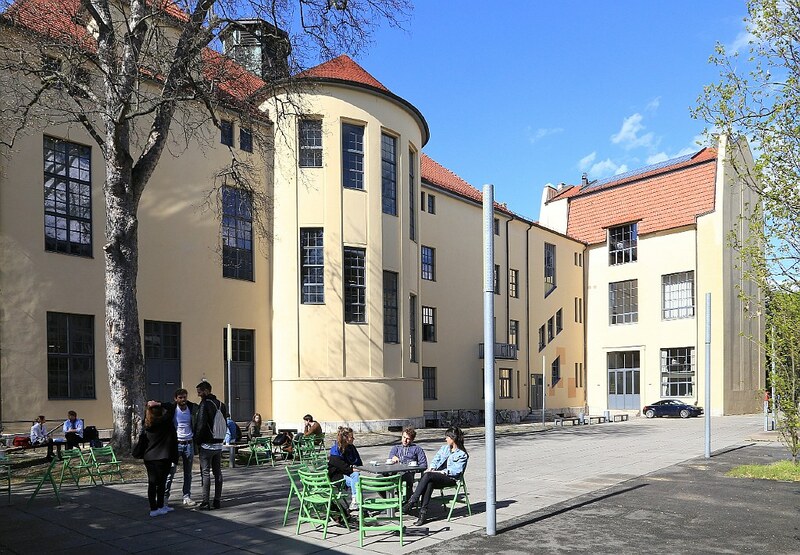 I’m very grateful to Weimar Tourism, Thüringen Tourismus, Germany National Tourism Board for access to places and activities in the city; and to Dorint Hotel am Goethepark for a comfortable and welcoming stay. Special thanks to Renée Cieraad for the guided tour, and Anja Friedrich from Weimar Tourismus for the warm hospitality. I made these photos on 29 and 30 April 2015. This post appears on Fotoeins Fotopress at fotoeins.com at http://wp.me/p1BIdT-76F. Thanks, Cornelia, for reading and for your comment. There’s a lot to see and learn in the “middle of Germany”! Hi, Timo. 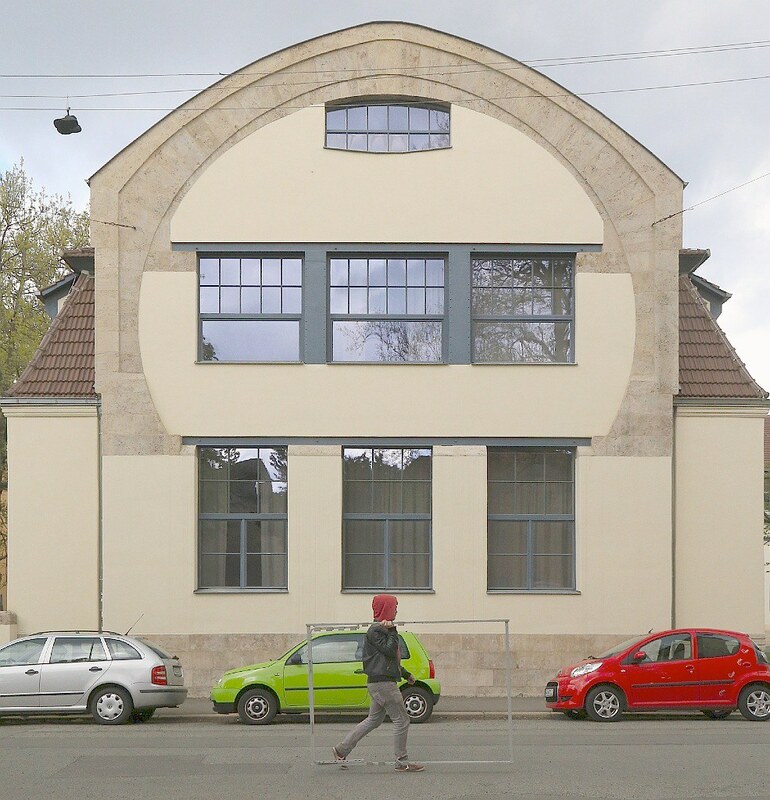 I now must visit the Bauhaus sites in Dessau and Berlin! I had no expectations except for historical significance, but I very much enjoyed my time in both Erfurt and Weimar. I would like to go back again, especially to Eisenach and Jena.